Researcher and scholar David Godman visits the show to talk about the teachings of the saint Ramana Maharshi and how we can effectively put them into practice. 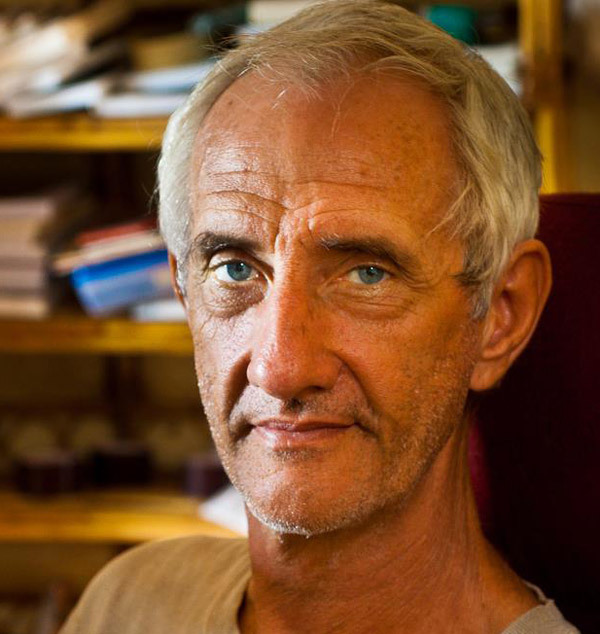 David Godman is the world’s foremost researcher and scholar of Ramana Maharshi’s life and teachings. He has written or edited 16 books and numerous articles about Sri Ramana, his direct disciples, and related topics. Godman’s first book, Be As You Are, published in 1985, has become the standard anthology of Ramana’s writings. David has spent most of his life in Tiruvannamalai where Ramana Maharshi’s ashram is located. Find David online at davidgodman.org. Who Am I? (Opening) – David Godman and Raghu discuss the great saint Ramana Maharshi and his heart-based Advaita Vedanta teachings. Raghu shares Ramana Maharshi’s importance to the Neem Karoli Baba satsang. Hear Ram Dass’s experience practicing Ramana Maharshi’s Vichari ottma meditation practice on this episode of the Here and Now podcast. Something Behind the Ego (6:30) – We hear about David’s first encounter with the teachings of Ramana Maharshi which quieted his mind and led him across the world in pursuit of deeper knowledge and truth. Mischief of the Individual “I” (19:10) – David shares some of the core teachings of Ramana Maharshi and points out some of the effective ways we can put them into practice. For more on the philosophy of Advaita Vedanta, check out this episode of the Mindrolling podcast with Mooji. In the Presence of Saints (36:45) – After spending much of his life in India, David has had the privilege of spending time with saints and great spiritual practitioners. He tells the story of Mathru Sri Sarada, a devotee of one of the last living disciples of Ramana Maharshi. Find out more about Mathru Sri Sarada at mathrusrisarada.org. Lakshmi the Cow (51:10) – David tells the tale of Lakshmi the cow, a true devotee of Ramana Maharshi.